Title : The most natural and suitable size for me! Title : The perfect curve belongs to me.. Title : My face looks perfectly normal now. Title : No longer a pre-teen body! Title : No more Premature Body Shape! Title : Stretch your chest and be confident! 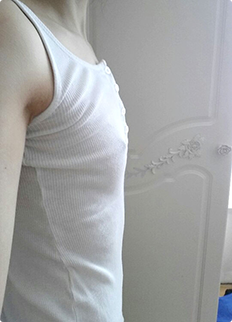 Title : 32 years old, Flat breast was transformed! Title : Breast surgery for confidence!